From Mediaite: Today brought John Kerry’s Senate confirmation hearing, but it didn’t go extremely smoothly. 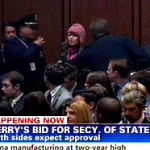 Mediaite reports, “During Sen. John Kerry‘s testimony during his hearing to be confirmed as the new Secretary of State, an anti-war protestor interrupted the proceedings to protest American involvement in the Middle East. Following her being escorted out of the building, Sen. Kerry defused the tension by expressing respect for the heckler’s concerns. As Kerry was finishing up his testimony before the Senate Foreign Relations Committee this morning, an unidentified female emerged in the back of room, shouting about ‘friends dying in the Middle East, asking ‘how many [dead] is enough? '” Read what happened here. From Gossip Cop: Is Gwyneth Paltrow going to be joining the cast of Downton Abbey? Gossip Cop addresses the rumors: “‘Gwyneth Paltrow has long fancied herself a proper English lady,’ begins a piece from Star, which continues, ‘so it’s no surprise that she begged for a role on the U.K. show ‘Downton Abbey’… and got it!’ A supposed ‘spy’ for the tabloid says, ‘Gwen just wrapped Iron Man 3 and is so sick of blockbusters and wants to focus more on TV. The alleged Star insider tattles, ‘She adored working on ‘Glee’ and told her team to get her on ‘Downton Abbey,’ stat!’ Wow, that sounds super secretive! And totally made up. Gossip Cop checked in with a rep for Paltrow, who tells us ‘she is not’ making any sort of appearance on ‘Downton Abbey.” Read the full piece here. From Geekosystem: There’s a new way to catch criminals, Geekosystem reports: “Whether or not you’re a gun fan, you’re pretty used to seeing police officers — and even some private security guards toting guns around to protect citizens and property. But not every criminal enterprise is a hanging offense — or a shooting offense, as it were — and if you’re leveling a firearm at someone who is stealing a candy bar, chances are you’re overreacting at least a little bit. That doesn’t mean you have to let a criminal get away — after all, look how that turned out for Spider-Man. 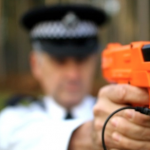 Thanks to British security company Selectamark, though, you can now serve up appropriate justice through the barrel of a gun — a gun that fires soft bullets filled with unique DNA that can be used to tag and help convict a suspect later on.” Read the full story here. From Styleite: The style world is no stranger to wardrobe malfunctions. Did the latest occur on The Tonight Show with Jay Leno yesterday? Styleite answers, ” If we learned anything from last night’s episode of The Tonight Show with Jay Leno, it’s that Heidi Klum is a braver woman than we. The Project Runway host visited the set in a black sleeveless dress with sheer net panels up the sides that, while definitely made for dancing, looked like a dangerous choice for doing so on a desk in front of television cameras. The impromptu demonstration of one of her many talents — table dancing, that is — came after Jay asked her whether she ever fell off while doing so… Once up there, she somehow managed to bust a move without incurring an embarrassing moment, which leads us to believe this dress is craftily made to avoid such slip ups in the vein of Anja Rubik‘s infamousAnthony Vaccarello hip-flashing Met Gala gown.” Read more and see pics here. From SportsGrid: The playoff loss just keeps on stinging for New England Patriots’ quarterback Tom Brady. SportsGrid reports on the latest, “Remember when Tom Brady slid during the AFC championship game and did it with one leg up so that he slid into Ed Reed, and Reed had to do a little jump out of the way? …Well, it wasn’t penalized, though Brady felt it was enough to merit an apology, and that had some complaining of star treatment. You get the idea. But while Brady wasn’t flagged, the NFL did take some action upon further review: Brady was fined $10,000 for the play.” However, it didn’t end talk of Brady’s preferential treatment. Read on here. From The Mary Sue: Some details on the sequel to Blade Runner have emerged. 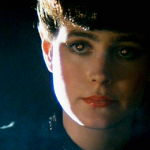 The Mary Sue keeps you up-to-date: “Like it or not, a sequel to Blade Runner is in the works. It’s still in the very early stages—to my knowledge all we know about it at this point is that Ridley Scott plans to do it. But the very prospect of a Blade Runner sequel has a lot of people curious, including Crave Online, which during an interview with Sean Young took the opportunity to ask the actress whether her original Blade Runner character Rachael might show up in the sequel. Her answer? Probably not. Says Young: ‘Well, I did meet with Alcon, the company that owns it and is planning to do the remake with Ridley. I did meet with them, but I think at that point they just wanted to meet me and I don’t think they have any plans of using any of the original people, although I can’t say for sure. '” Read more of what she had to say here. From The Jane Dough: Yesterday brought some major news for women’s progress. The Jane Dough’s Colette McIntyre reports on the changes: “It’s been a rough week: we have witnessed our nation be torn apart by Beyoncé’s inaugural beytrayal, publishers have turned The Bell Jar intoSylvia Plath Jones’s Diary, and science said that high school left us more ruined than a society gal who gave her delicate maidenhood to a freewheeling townie. Much like Hillary, we were not having it. Yet there appears to be some light at the end of this hellishly cold tunnel — according to NPR, Secretary of Defense Leon Panetta is lifting the 1994 rule that bars female soldiers from front-line positions. 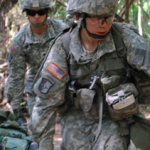 The move was recommended by the Joint Chiefs of Staff and will be the largest expansion yet of women in ground combat roles.” Read more about those roles here. 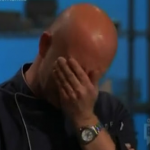 From The Braiser: Last night brought another episode of Top Chef: Seattle, and a gem from the judges’ table. The Braiser writes, “We love it when Padma gets a little tipsy at Judges’ Table. (See: her sass-finger last week, that blooper reel from the All-Stars reunion show where she slurs that she had ‘two gins and tonics,’ etc.) On last night’s Top Chef: Seattle, she could barely bite her tongue waiting for Stefan to leave the room before declaring him “SUCH a bullshitter!” with regards to his wily chicken cordon bleu defense. One would think we’d be surprised that not a single cheftestant managed to nail fried chicken during last night’s Elimination Challenge, but after learning in the season premiere that none of them know how to properly cook an omelette, nothing shocks us anymore.” Read on and watch video here.